Disclaimer: I received Gatorade ® Endurance products to review as part of being a BibRave Pro. Learn more about becoming a BibRave Pro (ambassador), and check out BibRave.com to review find and write race reviews! MIDYEAR APPLICATIONS FOR THE BIBRAVE PRO PROGRAM CLOSE TODAY! 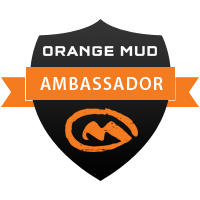 FILL OUT THE APPLICATION TODAY TO JOIN OUR AWESOME COMMUNITY OF ADVENTURERS AND ATHLETES! I’ve definitely noticed a theme among social media and blog posts from fellow southern runners: we skipped spring and jumped right into the Devil Went Down to Georgia kind of heat and humidity training hell. For many U.S. based runners, the biggest races, particularly marathons, tend to be in the fall. This means that us Southerners have to slog through our longest runs in 90+ degree 90%+ humidity days. Locking down effective nutrition and electrolyte balance for these types of conditions can be tough. I sweat a lot and rely on tons of electrolytes. However, many drink mixes are really sugary and tend to shred my stomach after 5 hours ( not a huge issue for marathons but starts becoming a problem for longer ultamarathon efforts for sure). Enter Gatorade ® Endurance Formula. In the past, I’ve avoided Gatorade products because I envisioned them as too sugary. Also, when I first started running more than 10 years ago, Gatorade I found on various race courses bothered my stomach, so I just stopped trying it. In the past few years I noticed more major events moving to the Gatorade Endurance Formula on course and it definitely piqued my interest, however, I still felt safer sticking to my own nutrition. Luckily, I had the opportunity to give Gatorade Endurance Formula and the associated Energy Gels a fair chance as part of being a BibRave Pro. Specifically, we tested the new watermelon flavor (who doesn’t love watermelon in the summer?!) and new mango flavored gel (yum!) . I mix 24 ounces (2 servings) for one hour, plus I’ll take an energy gel every 45 min- 1hour for long workouts. The Endurance Energy Gel has 20g of carbohydrates and 80 calories. At this rate I get about 260 calories per hour energy, which has proved to be a very happy place for my GI comfort and energy levels. The energy gels are thinner, less sticky, and less sugary than other gels so they’re easy to consume on the move. I’m actually able to eat the whole gel in seconds with no water. In addition, I take a serving of Base Electrolyte Salt every mile which creates an awesome salted watermelon effect; my favorite summer flavor! Gatorade Endurance Formula is offered in lemon-lime, orange, cherry, and new flavor watermelon, and retails for $28.99 per canister. The Endurance Energy Gel is offered in apple pear, blackberry, vanilla, new flavor mango, and retails for $29.99 per 21 pack. You can grab any or all the endurance awesomeness at Gatorade.com/Endurance or a local running store. Something very cool I noticed on the website: they sell Chicago Marathon and Ironman specific On-Course packs, including the products specifically used on these courses! For all of you slogging through summer training for one of these events, now is the time to practice your race day nutrition! Train for race day nutrition now! This entry was posted in Product Reviews, Training and tagged bibchat, bibrave, bibravepro, cycling, forumulatedforfarther, gatoradeendurance, marathontraining, nutrition, products, review, reviews, running, Training. Bookmark the permalink. Pingback: REVIEW: GATORADE ENDURANCE – Run to Inspire. Inspired to Run.